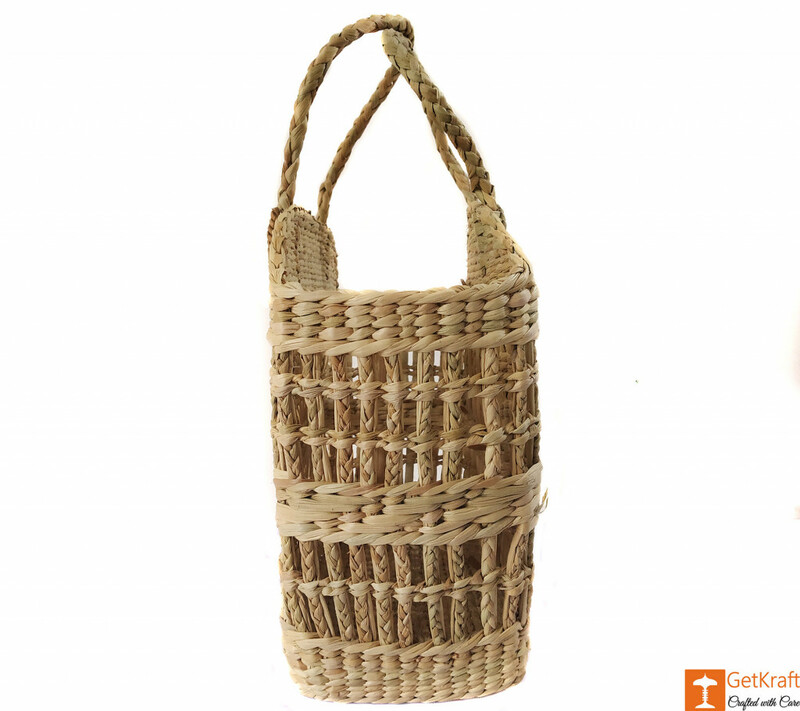 A handcrafted and one of a kind Bag made with kauna grass to give you a touch of Nature. The handbag is made with elegance. 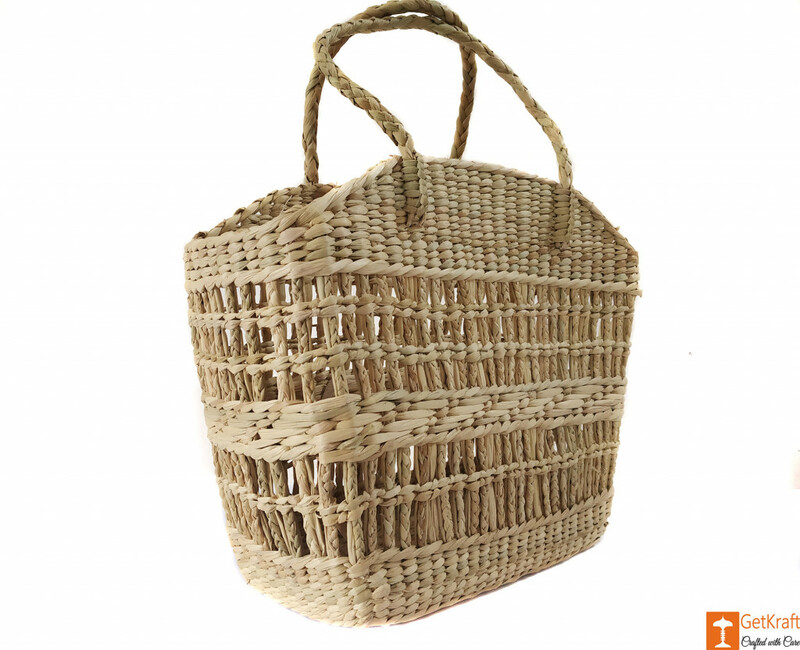 It is eco-friendly and the design has gaps between the grass reeds. It helps in free air flow and provides breathability to use. 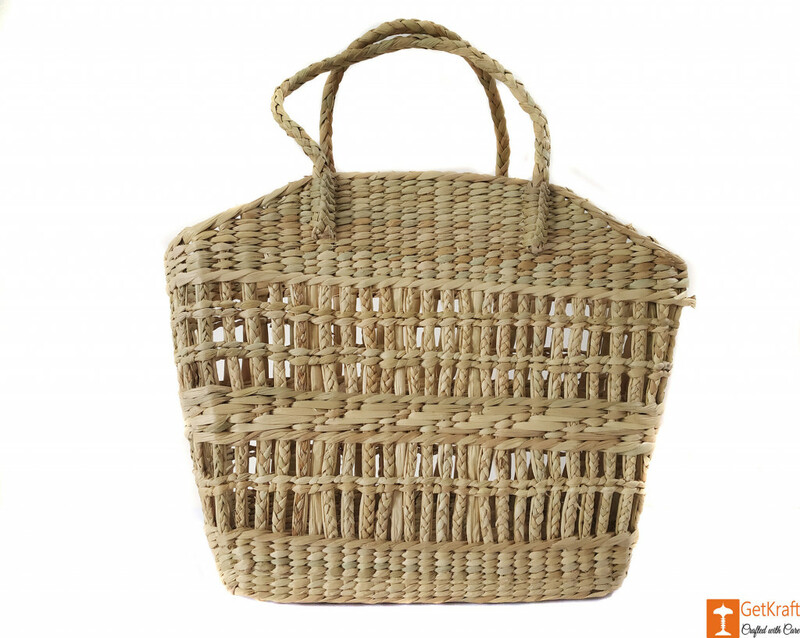 A great accessory for your outings like going to the grocery carrying your belongings to picnic parties, etc.